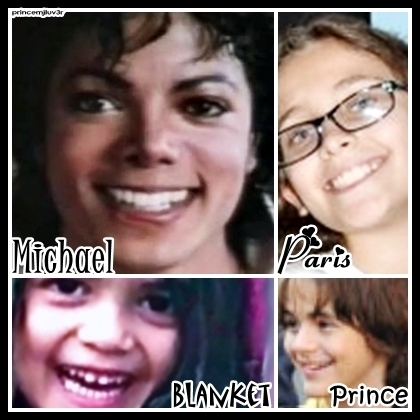 MJ,Prince,Paris, & Blanket and their beautiful smiles <3. don't u love their smiles?. Wallpaper and background images in the the jackson 3 club tagged: prince paris mj adorrable blanket jackson. Those r really his children. Look at them. So cute. At least we all know where they got that "Movie Star" smile.